Spiderwize, a division of print and creative and development design company Bonacia UK, describes its services as ‘assisted self-publishing’ and though based in Peterborough, England, the services are available to UK and US authors. Spiderwize has become more prominent in recent years, particularly in the UK, and now has more than 200 published titles. We are a UK based publishing house who have a passion for books and a passion for helping authors see their books become a reality. We pride ourselves in giving each author a fast, high quality and efficient service making sure that you as the author are kept up to date on the whole publishing experience. Our dedicated staff are fully trained in the book production process and are highly skilful at what they do. The Spiderwize imprint summary: Family-friendly large range of fiction and non-fiction genres. Like most author solutions services we are sent work that contains hate-incitement, extremism or books deemed to preach violence, which we will neither support nor publish. Their shop window (website) like all author solutions services is author-driven, and part of their main page is given over to promoting recent titles and an immediate link to take you to more titles. Overall, visually, I can’t help but feel Spiderwize has modelled much of what you see on the Author Solutions group of companies (AuthorHouse, Xlibris, iUniverse, Trafford). 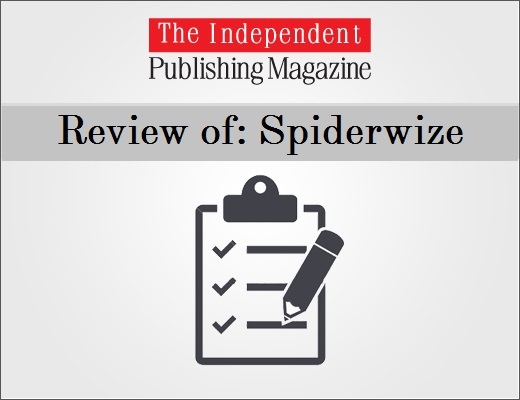 Spiderwize sell their services to authors on the basis that an author can submit their manuscript to them and not have to worry about formatting, layout, cover design, ISBN, or dealing directly with printers or distributors. All these services are included in their publishing packages. Authors can submit their own cover design provided it is in 300dpi. Again, all pretty standard author solutions service stuff. 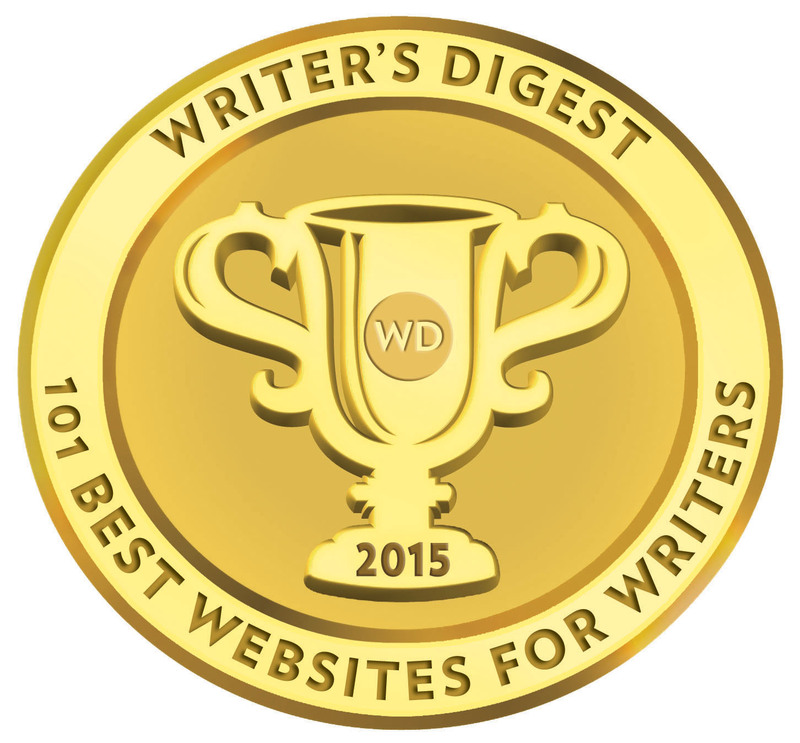 We offer an easier way to publish and distribute your book as we do all the hard work for you. Spiderwize are a part of the Bonacia family, who have been publishing and printing for over a quarter of a century, so we know this industry inside out. As experts in our field, we can guide you through every step of the publishing process, resulting in a better finished product and a more enjoyable experience for you. You will be assigned a personal publishing assistant who will look after you and your manuscript every step of the way. All our publishing assistants are passionate about books and pride themselves on giving top class customer service. We also strongly believe that all decisions regarding the book should ultimately come back to the author, so we’ll do everything we can to make sure your book turns out exactly the way you want it to. We make your book available through over 39,000 worldwide distribution channels, from the big players like Amazon and Waterstones to tiny independent retailers. We handle all the admin for you and each sale made will earn you a royalty. The need for a large amount of stock is a thing of the past. Print On Demand, or POD for short, is the most cost effective way to fulfil customer orders. Each time a copy of your book is ordered, our highly skilled POD partners will print your book using the best digital printers and deliver to the point of order. The price of distribution and printing is covered by the retail price, so you won’t have to pay a penny. You retain the copyright to your book, and your publishing agreement with us is non-exclusive. That means that if you get picked up by a mainstream publisher, then you are free to end your agreement with us at any time. We won’t be upset ‐ promise! At the risk of repeating myself in this review, but for the benefit of authors who may not have read other reviews we have carried out on author solutions services; the distribution services offered by Spiderwize (unless we state otherwise in our review) only gets an author’s book listed with online retailers and wholesalers. It will not get your book stocked on the shelves of high street stores, or for that matter, backstreet stores and independent stores. Sales must be initiated by a book buyer, either in a retail chain’s product department or by an independent bookstore owner looking through an online catalogue, AI (Advance Information leaflet) or press release sent out by the publisher. Of course, alternatively, an avid fan or book browser, who has read a review or heard mention of an author’s book, might request the bookseller to place a special order for it from the distributors. Your book will be made available through over 39,000 worldwide distribution channels, from the big players like Amazon and Waterstones to tiny independent retailers. Upon the anniversary of your publication you will receive an annual subscription invoice for £24.00, should you wish to continue selling your book for another year. What is important here is that Spiderwize are entirely upfront about the expectations an author may have about their book reaching high street stores. Failure to get your self-published title on the shelves of your local bookstores can be a tough one, and in today’s commercial book world, the difficulty in obtaining shelf space is not just confined to self-published authors; it is a challenge to many authors not on the A or B list even with large publishers and respected independent publishing houses. The real difference is that established publishing houses have the means and the resources to promote and market their titles. 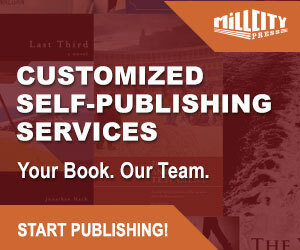 Once you have signed up for any of our packages we will assign you your very own publishing assistant who will guide you through the publishing process ensuring all of your publishing needs are met. 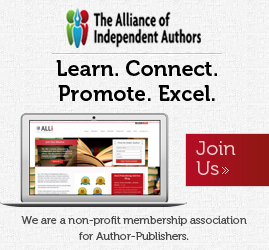 We are lucky to have an in-house team of talented designers who will prepare your book for print, along with editors who are all members of the Society for Editors and Proofreaders. Where I am impressed with Spiderwize is that the retail prices of books can be set at a competitive price (dependent on what authors set). Also, one of the biggest bones of contention I have with author solution services is the insistence on marking up books sold directly to authors (personal author copies) to, in effect; take a second dip at making a profit when the author has already paid them for a publishing package. Spiderwize do not do this and books are sold directly to authors at print costs with delivery to UK mainland addresses covered. A 218 page book from them will cost the author approximately £3, allowing a highly competitive retail price of £7 to £8. Spiderwize provided me with an example of the cost breakdown for a typical novel (B&W interior) and 218 pages. Note: wholesale discounts are fixed at 25%. This may be seen as a positive or negative by some authors because some retailers may baulk at stocking a book with a wholesale discount as low as 25%, particular if a bookshop or chain is considering physically stocking copies of the title but cannot be certain of customer demand. =£2.95 royalty amount, which is then split 50/50. Some authors may also baulk at the £2.95 (remaining revenue) being split 50/50, considering the author has already paid outright for a publishing package. I’ve always had a little irk with author solutions services referring to the revenue amount as a ‘royalty’. It is the revenue left. A royalty is the amount directly due to an author, £1.48 in this case. Ultimately every author must sit down and carefully work out how many books sold would be required to offset their initial investment (cost of publishing package). Again, in the above example of a print package costing £999, the author would need to sell 675 copies to recoup costs. No matter the service provider chosen, and the cost of the publishing package, it is a calculation every author should carry out once they have hard and fast figures. One of the things which can take away from publishing packages offered by author solutions services is the quality of their so-called custom cover designs. A look through the Spiderwize bookstore reveals some pretty good cover images and some reasonable ones, certainly nothing worse than I have seen from small and independent publishers. Spiderwize do have their own online bookstore, and they do list their books as print on demand due to the fact that their offices are also home to Book Printing UK. No. We must make it clear that apart from providing promotional materials, marketing your book is not one of our services. Marketing the book is up to you. Royalties are split 50/50 after the wholesale/retail discounts and print cost and are paid to the author on a quarterly basis. Spiderwize will give guidance on what the best retail is for the book, but the final decision rests with the author. Amazon lists over 200 titles by Spiderwize, surprisingly small for an author solutions service offering some pretty reasonable deals. Ideally, I would like to see some more hard and fast figures on royalty breakdowns and wholesale discount examples (provided on their website) for various book sizes/formats and retail channels beyond just the Spiderwize bookshop. Spiderwize make their money on the publishing packages, and critically, do not choose to gouge further profits out of authors who want to sell books to readers. Overall, I think Spiderwize has got the balance just about right – getting your 200+ page book published, allowing the author to purchase their own copies for £3+, all-in for £650 -2,000—seems reasonable to me for authors without a technical publishing skill set, and do not wish to take on the heavy-loading of design and pre-production costs. However, Spiderwize will not suit all authors, particularly those self-published authors looking at a heavy return on book sales. I have used Spiderwize for my book Ghosts of the Little big horn. I have absolutely no problem with the company, my royalty cheques arrive on time and the quality of the book is excellent. If you only score them 4/10 I would be interested to know who gets top marks from you. I approached Spiderwize looking for distribution only, as made clear from the outset; my book already exists. Could they help? They asked for files in the first email, which I said I was wary of and wondered why they didn’t reassure (or give specific details about) the first time. The file given was a bit of test; one was print ready and the other wasn’t quite; having seen the proofs, I knew what the error was – not pixilation! I was actually a very big and intense image. The margins are fine and I’ve seen the book in print many times. They also wanted to get their logo and copyright on the front matter, but that as publisher belongs to me and I also said I didn’t want exclusive distribution or printing. When I mentioned some more technical matters, they didn’t reply, and that also makes me suspicious. Why keep your specs mysterious and they also didn’t show knowledge of the kind of terms I expect to hear in printing. I felt that they’d not read my email, that they’d said standard things, and that they were just out for my money.